So thankful for the ultimate gift. The gift of a savior who would pay the ultimate price for our salvation. Christ left the heavenly realm to live life as a man, still fully God, wrapping himself in human frailty to not only be an example to us, but to give that same life for us. Once there was a man who looked upon Christmas as a lot of humbug. He wasn’t a Scrooge. He was a very kind and decent person, generous to his family, upright in all his dealings with other men. But he didn’t believe all that stuff about God becoming man, which churches proclaim at Christmas. Why would God want to do anything like that? So when his family left to attend midnight services on Christmas Eve, he stayed home. Shortly after the family drove away snow began to fall. He went to the window and watched the flurries getting heavier and heavier. Sometime later, as he was reading his newspaper by the fire, he was startled by a thudding sound that was quickly followed by another. Then another. When he went to investigate, he found a flock of birds huddled miserably in the snow. They had been caught in the storm, and in a desperate search for shelter had tried to fly through the window. But the birds didn’t come in. “Food will bring them in,” he thought. So he hurried back to the house for bread crumbs, which he sprinkled on the snow to make a trail into the barn. To his dismay, the birds ignored the bread crumbs and continued to flop around helplessly in the snow. He tried shooing them into the barn by walking around and waving his arms. They scattered in every direction — except into the warm, lighted barn. Just at that moment the church bells began to ring. He stood silently for awhile, listening to the bells pealing the glad tidings of Christmas. Its doctrines are holy, its precepts are binding, its histories are true, and its decisions immutable. Christ is its subject, our good its design, and the glory of God its end. It should fill the memory, rule the heart and guide the feet. Read it slowly, frequently and prayerfully. It is given to you in life, will be open in the judgement, and be remembered forever. It involves the highest responsibility, rewards the greatest labor, and condemns all who trifle with its holy contents! The most important aspect of the bible is that it is inerrant and true in its original language. If it claims to be true, but isn’t, it cannot be the inspired word of God. If it isn’t true, it isn’t timeless and subject to contemporary opinion. But, If it is true, knowing what it says and acting accordingly is essential. It will strengthen my faith and get me to heaven. My (and your) unbiblical opinions won’t. I challenge you to read it and apply it to yourself, your thoughts, beliefs, and actions. When you realize you don’t meet God’s standard (as we all must), confess it to God in prayer and ask God to forgive and cleanse you from all unrighteousness. He promises to do this very thing. Jesus saves sinners. We like to think that it happens in a moment and is pain free. Well, it’s a walk, not just a moment. The moment we accept God’s judgment on sin, and trust his promises to forgive and cleanse us, we may be saved. Everyday brings awareness to new sins to confess. Eventually, only you (and God) can see your sinfulness, but you confess it just the same. Through this lifelong process, you look and act more like Christ, and glorify God in the process. 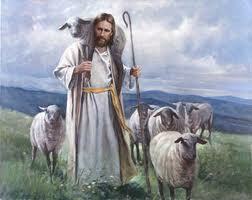 Like a sheep belonging to the Great Shepherd, you know His voice and follow Him alone. The world and the Evil one will rebel against God and His standard, inciting you to question It. But, those who are truly saved, like the seed that fell on good soil (in the parable of the sower), will grow in faith and obedience to God. God will come and save you where you are, deep in sin. But, He will not leave you there. 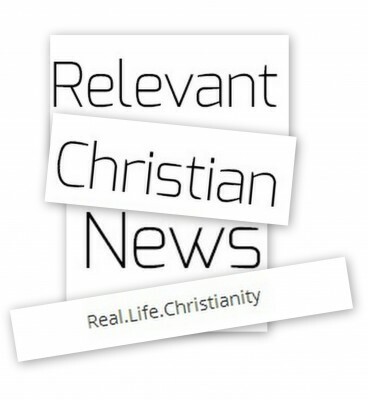 Relevant Christian is looking for new contributors. 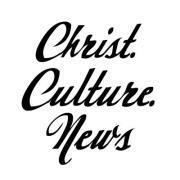 The Relevant Christian blog has been around since 2007 and have had several great contributors during that time. Should Christians Get Tattoos? What Does The Bible Say? There is a lot of conversation now days in regards to tattoos. A lot of people are asking questions as to whether or not they should get a tattoo. You can find arguments on both sides of the issue, and both can be very convincing. The problem I have with the whole argument against is how they are basing their reasoning. How can you base your arguments on ONE scripture in Leviticus 19, but completely ignore this one, or this one? The last time I checked, we are no longer offering physical sacrifices because Jesus Christ Himself became THE sacrifice for us. So….What does it all mean? It comes down to this…the Bible is unclear about whether or not one should get tattoos, and any one touting the whole ‘the Bible is very clear about tattoos’ argument, are merely spouting their opinion. I would encourage any Christian who is considering getting tattooed to do the research for yourself, earnestly pray about it, then determine whether or not it is for you. NEVER take someones word for it, whether it leans toward your beliefs or not. Research it for yourself. Know what you believe and why. Here are a couple of links to read on the subject. 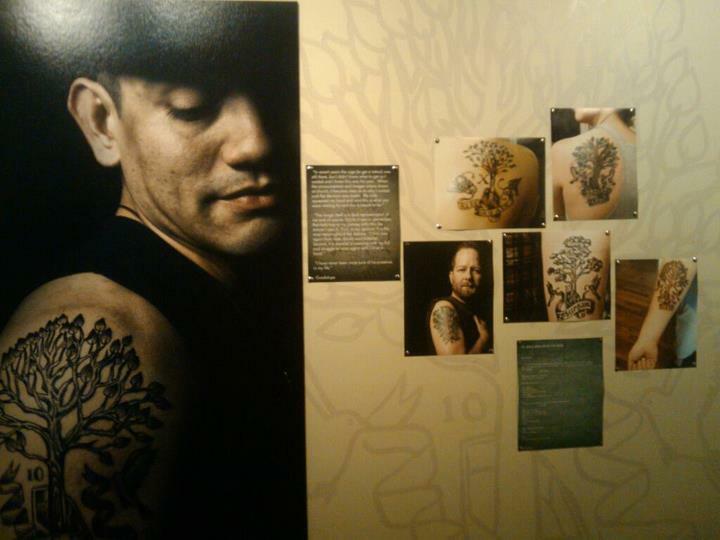 Another Great article on Tattoos! Click Below to Read Relevant Christian News!